Dress to impress is an important negotiating tactic. Don’t be under-dressed for the occasion! In today’s work environment, dress is much more a challenge then it was in the fifties or sixties. Casual dress days or environments are fine for companies and their staff. It is fine for days when there are no important meeting on your calendar. But on days you expect to pitch a product, service, ask for a raise, or mediate a divorce settlement you might want to put a little thought in how you want to present yourself. When you are seeking to take control of a situation, lead a discussion, or forge an alliance, dress in a way that shows you are confident, successful, and competent. Casual attire connotes, subliminally, a casual attitude unless you have already established your credibility and others respect you no matter how you appear. That seldom is the case. Good leadership attire, casual or dressy, always is crisp, clean and commanding. First impression, even with old acquaintances, is critical. The tone is set when people gather. They naturally appraise each other. When in doubt, wear a suit or comparable business attire. This attire typically inspires attention and respect. You can always dress down by loosening your tie or taking the jacket off to make others comfortable. But it is hard to dress up jeans and a T-shirt at the last minute. 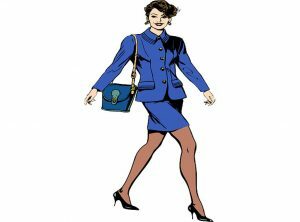 Everything about you, your office, your dress, and your manner of speaking sends non-verbal signals to choose around you. If you are in power in a situation, you can dress as casually as you want. But never forget that you are setting expectations by your attire. Casual dress need not be sloppy. Understand the difference between casual and sloppy and use clothing to advance your objectives. In Seven Secrets to WINNING Without Losing a Friend, I discuss the various aspects of presentation, dressing the part is one of them.